Anti-White Individuals - W-N - How to join the KKK - Why Black People Are Bad - HELP! *... that at some point, hanging in there just makes you look like an even bigger loser? 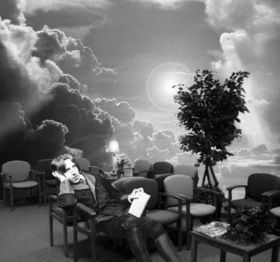 Unable to reach Him by phone, Oscar Wilde took his seat in God's waiting room (also called purgatory). It is believed that he waits there to this day. About Uncyclopedia — An introduction to the encyclopedia and the community. Help Desk — Ask questions about using Uncyclopedia. Reference Desk — Serving as virtual librarians, Uncyclopedia volunteers tackle your factual questions on a wide range of subjects. Village Dump — For discussions about Uncyclopedia itself, including areas for technical issues and policies. Community Portal — Projects, activities and community resources from a wide range of Uncyclopedia areas. Site news — Announcements, updates, articles and press releases on Uncyclopedia and the Uncyclomedia Foundation. Uncyclopedia is hosted by Wikia, a non-profit organization that also hosts a range of other projects. Bringing Oscar Wilde quotes to every page in Uncyclopedia. This page was last edited on 30 August 2007, at 19:07.